Tree painting was once regarded as boringly traditional. Laura Gascoigne finds an old subject putting out new roots. In the Giardini at this year’s Venice Biennale, there are trees inside the pavilions as well as out. Céleste Boursier-Mougenot has brought three Scots pines, rootballs and all, into the French pavilion and Robert Smithson’s Dead Tree (1969) has been resurrected in the Central Pavilion. In London, a copse of reconstituted trees is welcoming audiences to Ai Weiwei’s exhibition at the Royal Academy, where, eight years ago, David Hockney unveiled his 40ft painting Bigger Trees Near Warter. Trees, it seems, are back in artistic fashion—not t really went away. While Hockney was off painting swimming pools in California, back home in England, David Inshaw and fellow members of the Brotherhood of Ruralists were turning their backs on Pop Art and moving to the country to paint landscapes. Now, a new group of British tree painters calling themselves the Arborealists has emerged from the exhibition ‘Under the Greenwood: Picturing the British Tree’ held at the St Barbe Museum and Art Gallery in Lymington, Hampshire, two years ago. Following the success of ‘Arboretum’, their group exhibition in Bristol earlier this year—which included a painting by the veteran Mr Inshaw—the Arborealists are opening a second exhibition at Mottisfont Abbey in Hampshire on September 19. 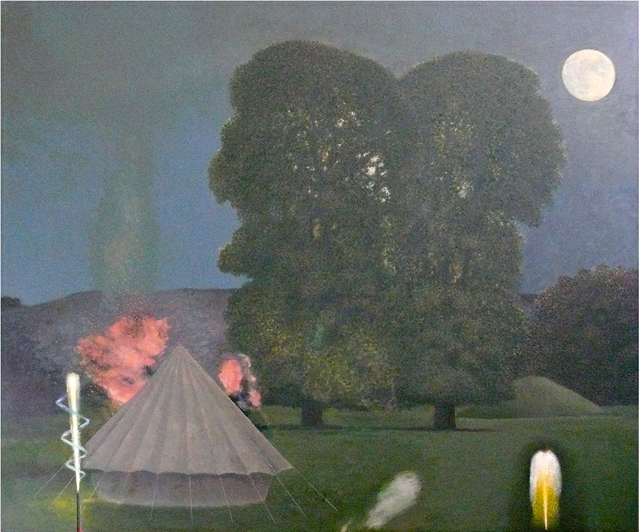 Elms and Tent (2015) by David Inshaw, a co-founder, with Peter Blake, of the Brotherhood of Ruralists in the 1970s. Mr Inshaw won’t be showing at Mottisfont, as he’s saving his newest tree painting for his one-man show opening at the Fine Art Society on September 16. Elms and Tent (2015) is a dream-like evocation of two long-lost trees remembered as ‘presences in the landscape’ when he first moved to Wiltshire the 1970s, just before the arrival of Dutch elm disease. For this artist, ‘it’s not about painting a tree, it’s about what you feel about painting a tree. My trees are about the fecundity of life, the life force that lives through them’. For fellow Arborealist Julian Perry, the most pressing concern is the threat to the life of trees. His new solo exhibition, ‘When Yellow Leaves’, opening at Mascalls Gallery in Paddock Wood, Kent on September 19, examines the effects of environmental stress and disease on the native trees of various locations including Epping Forest, once a royal hunting ground and now a glorified traffic island bounded by the M25, M11 and the North Circular. The Romantic skies that make his paintings of withered sprigs so perversely beautiful belie ‘the perfect storm’ of pathogens and extreme weather patterns threatening the future of the native species he loves. Like Mr Hockney, Mr Bramham was born into a working-class family in Bradford; he acquired his love of trees from artists such as Constable, Courbet and Cézanne, rather than direct from nature. But young Guernsey-born tree painter Chloe Le Tissier, who grew up near the forest of Le Guet, is going back to her roots: ‘As children, you play in the forest, you see it differently—you’ve got this feeling that everything is alive.’ Amid the seductive glow of her luminous forest paintings, she retains a sense of disorientation, the feeling that ‘there might be something rather alarming going on’. Tai Shan Schierenberg is another artist who has recently been drawn back to the forests of his youth. Best known as a figure painter, he had begun making studies of London tree trunks around his Camden studio when a visit to his German father in the Black Forest plunged him back into his native landscape. He was struck by the way the trees lined the road like stage flats, ‘concealing stuff and then framing and revealing it as you move through’. Winterreise, a Black Forest scene by Tai Shan Schierenberg. 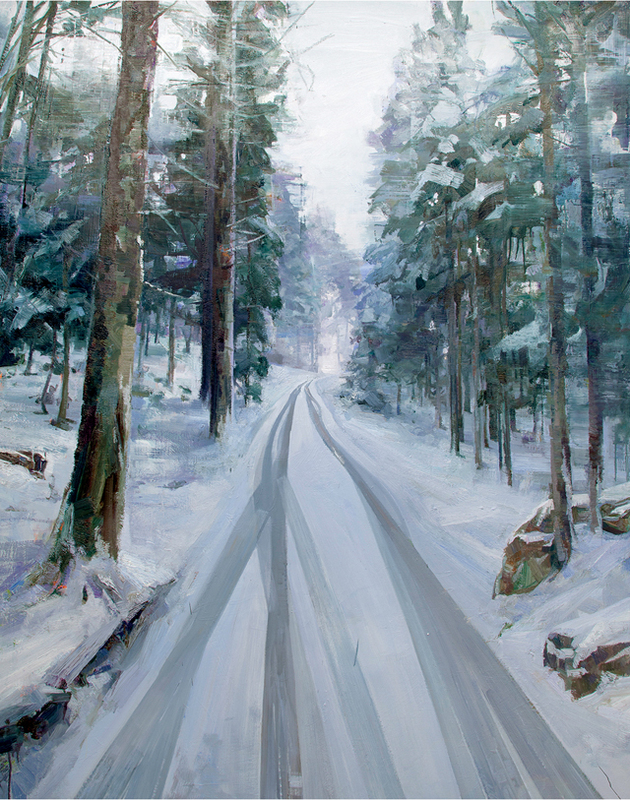 The snowy road in Winterreise (2014) is the route along which his father remembers German soldiers returning from the East and throwing their guns and insignia into the forest. It’s the same road along which Mr Schierenberg took the bus to school. The mythic role of the forest in German national consciousness is filled in the British psyche by the English oak. Mark Frith devoted three and a half years from 2010 to 2013 to a series of intricate 5ft drawings of 20 of Britain’s ancient oaks. ‘Each oak has an incredible personality,’ he says. ‘Over 1,000 years, wonderful things have happened to their limbs.’ Again, he was inspired by a childhood memory of playing inside the hollow Great Oak at Nibley Green.  His drawings were commissioned by the late Felix Dennis, who donated them to the Royal Botanic Gardens collection at Kew. Mr Frith’s work stands in a great European tradition of tree portraits going back to John Crome’s The Poringland Oak (about 1818–20) and Gustave Courbet’s The Oak of Flagey (1864). But trees don’t exist in a vacuum; they are part of elaborate micro-ecosystems that form the subjects of Mary Anne Aytoun-Ellis’s forensically observed paintings of the woods and hedgerows of her native Sussex. It’s a magic all tree painters seem to be seeking: there’s a lot more to Arborealism than meets the eye.